ATG Access are an engineering company, specialising in hostile vehicle mitigation barriers systems. These systems include bollards, barriers and road blockers. Working closely with clients, our in-house design and engineering team can produce impact test certified products to meet strict aesthetic and foundation requirements. Security solutions can be hidden completely within street furniture if required or fitted with a variety of different aesthetic sleeves. Within the ATG Access product portfolio, we have in excess of 45 impact test certified products to choose from. We have over 30 partners worldwide and have been exporting and producing perimeter security products for over ten years.More recently, ATG has been tasked to innovate products to meet the temporary security, market requirement to protect crowded places. Subsequently a range of new products have been launched and have now been deployed at over 300 events across Europe making our cities safer. 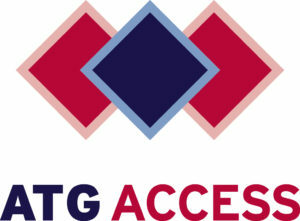 ATG Access were tasked with developing and testing a unique temporary event security barrier. This barrier needed to be lightweight, temporary, easy to deploy, easy to remove, pedestrian permeable and impact test certified to withstand a 2,500 kg vehicle travelling at 48 kph. The Surface Guard barrier system was born which has provided a platform for ATG Access to expand into this temporary event security space and utilise ATG’s existing, tested technology to keep our cities and people safe. The Surface Guard system can be deployed to secure a standard road width in just 40 minutes, using four men and lifting handles – no machinery or arduous lifting equipment is required to fit the system. Completely surface mounted, the barrier system can be deployed and removed leaving no trace or surface damage. Fully tested to the IWA impact test standard; this system has withstood a 7,200kg vehicle travelling at 32kph and a 2,500kg vehicle travelling at 48kph. Recognising that a temporary security system cannot service pedestrian access alone, ATG further developed their Surface Guard system to accommodate a vehicle access unit for emergency vehicles. 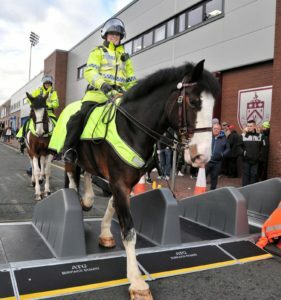 The system has proved to be very effective when protecting busy and high profile events; now being utilised at every MUFC and Burnley FC home game, the system is having to cope with very heavy footfall as thousands of fans empty both stadiums in around 15-20 minutes after each football match has finished. A sample of this innovate system can be seen on our stand – F57.